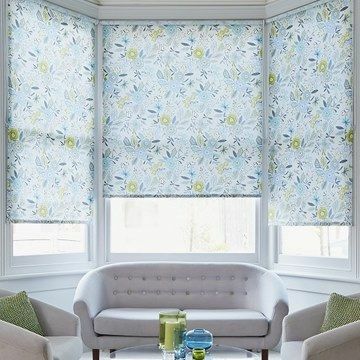 Browse our range of gorgeous living room blinds, read our practical advice and tips and make an appointment with an expert advisor. Transform your living room with beautiful blinds. Our huge range of blinds includes specialist fabrics and finishes that make them ideal for living rooms. We’ve collated them all here for you, so you can find a style solution you love. Roman blinds for a soft, cosy look. Add blackout or thermal linings for extra benefits. Take your interior to another level with layer upon layer of luxurious texture. Get your glamour on with interiors that reflect boutique hotel style from the sixties. Choose geometric print blinds and curtains in rich jewel shades and team with classic furniture for a modern take on retro luxe.